Just the other day, Greg Zeschuk and Ray Muzyka, founders of Bioware, announced that they were leaving the company. This took a lot of people by surprise, and also helped to crank up the negative feelings that a lot gamers have toward EA, as well as the direction that Bioware has been going in recent years. It's certainly the end of an era, but it got me thinking about what the company has meant to me over the years. Like a lot of people, the game that got me interested in Bioware was Baldur's Gate. It was my reintroduction to PC RPGs after a very lengthy hiatus, and I really loved that game. It had the most tactically oriented combat that I'd ever experienced in a role-playing game up to that point, there were really interesting characters that would join you on your adventure (the world met Minsc for the first time! 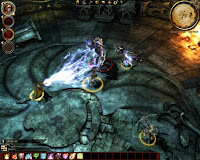 ), and the game took place in the Forgotten Realms which was one of my favorite fantasy worlds growing up. So yeah, Baldur's Gate was all kinds of awesome for me when it came out. After playing the game, I made a point of keeping an eye out for whatever other games may come down the line from Bioware. 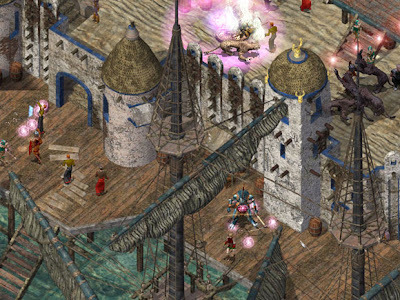 I grabbed Tales of the Sword Coast when it came out, I leaped at Baldur's Gate II and its expansion, and I even played MDK2 when it came out (yes, Bioware even made the occasional game with no RPG elements in it). This process continued right up to the first Knights of the Old Republic, devouring whatever the company had to offer. It was only during this current console generation that my interest in what Bioware was putting out started to subside. 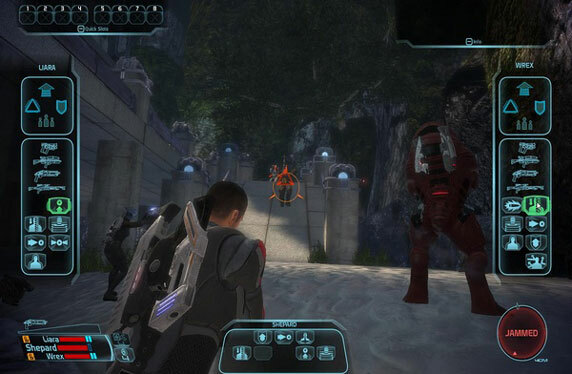 Mass Effect never really caught my eye. I'm always up for a sci-fi RPG, and frankly there just aren't enough of them out there for my taste, but this game just wasn't something I felt compelled to run out and play from day one. I eventually got it for $5 at a Steam sale, and played several hours of it, but to this day I can't stay interested in it enough to want to complete it. A big part of this is that the game crashed on me once and I lost a ton of progress after which I just couldn't be bothered to play the game anymore. In general, though, I just don't feel all that drawn to the Mass Effect series. There isn't anything inherently wrong with the games, I'm just not interested in them. I've even been slow to grab the Dragon Age games. I actually like them quite a bit in no small part because the games' combat is much more similar to that of the old Infinity Engine games. It's a lot more tactical. Heck, I even enjoyed Dragon Age II, and I know a lot of people can't stand that game. I thought it was a fun ride, even if players had to spend a ton of time in one town. 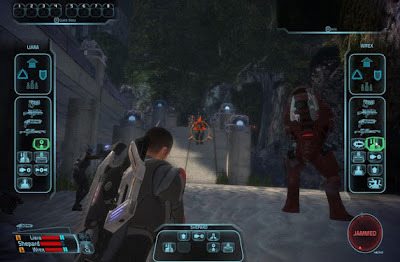 Mass Effect is the first Bioware game that I couldn't get excitied about. Will I ever like the series? Who knows! Nonetheless, I've not been waiting with bated breath for Bioware games in recent years, and I'm not entirely sure why that is. Have I changed? Has Bioware? The answer to both those questions is, "Of course!" I'm sure that for me it's just part of getting older. I know full well that a game is still going to be available for sale six months down the line, so why rush to get it. It's better to wait and get the thing at a discount. Even if the game is being heavily hyped I don't find myself hopping on board with the same zeal that I once had. I'm also sure that EA has had an impact on Bioware since gobbling the company up five years ago. It would certainly explain the heavy shift to console development (though, admittedly, a lot of studios that were once PC-only went multi platform in a big way this generation). It would also explain why a lot of Bioware's most recent efforts have felt a lot more homogenized, and like they were designed with a focus group in mind. The Bioware of today is a very different entity than it was five year ago. Their games have become a lot glossier, but the meat on their bones doesn't feel as satisfying. A lot of games feel dumbed down, and Michael Bay-a-ma-fied, trying to appeal to the lowest common denominator. Dragon Age was a bit of a last hurray to the games that Bioware built itself up on, but even that doesn't compare to the Baldur's Gate series. Backlash against the company has been building for a while. There was that whole debacle regarding the ending of Mass Effect 3, a lot of people really disliked Dragon Age II, and it's safe to say that Star Wars: The Old Republic was a colossal failure. So, one has to wonder if these things played a part in Bioware's founders deciding to leave. Then again maybe they really are tired of making games, and want to walk away from it all. Whatever the case, they were the last line of defense between Bioware and EA. With them gone, I suspect Electronic Arts will have even more direct control of the company. Sadly, when this has happened in the past it has led to the demise of countless once great studios like Bullfrog, Westwood, and Maxis. It wouldn't come as a surprise if Bioware found itself as the latest addition to this heap of carcasses sooner rather than later.